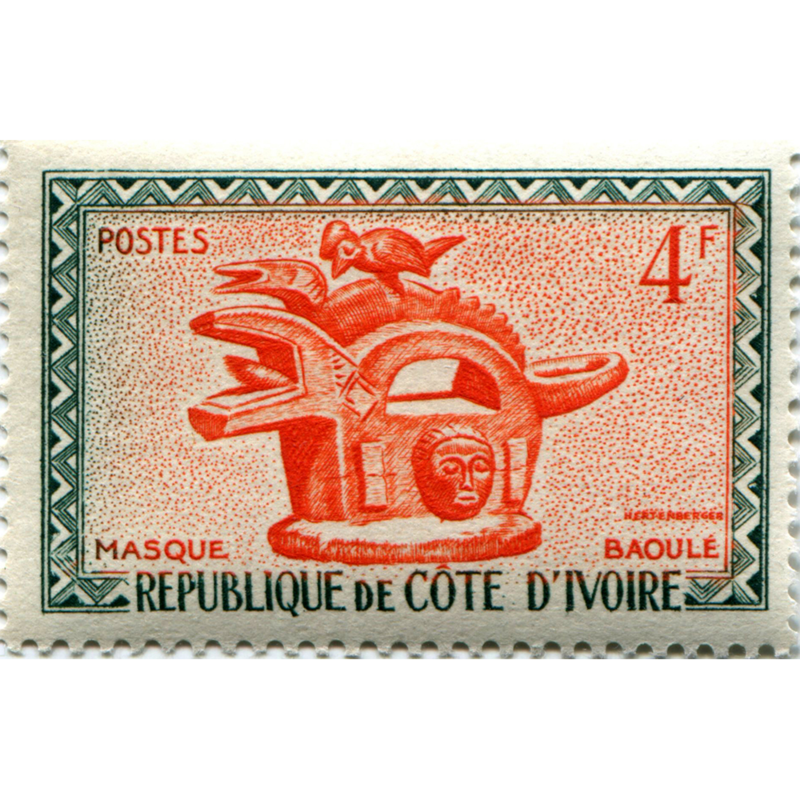 This stamp is one of a set of nine celebrating the traditional masks of the Côte d’Ivoire, issued in the year of its independence from French colonization. This specific stamp represents a crest mask of the Baule ethnic group. 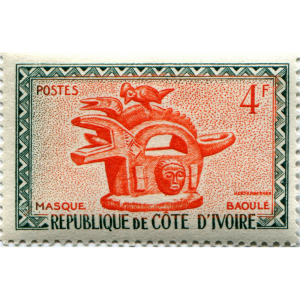 Such masks are very rare and represent a combination of different animals, sometimes at a high level of abstraction, along with human faces.